Mr. Thomas Moebus is Co-Founder and Principal of TenXGrow, a consultancy focused on the growth and success of small innovative enterprises. 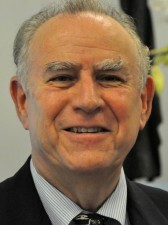 He was previously Vice President and Interim Director of the SUNY Levin Institute, and Director of the SUNY Confucius Institute for Business, the first such institute in North America. At Levin, Mr. Moebus created a suite of programs to support entrepreneurship, innovation, career transition, and competitive response to globalization – with such programs as JumpStart, New York in the World, and Innovate New York, among others. For two years, he worked also as Director of Investor Development for the Research Foundation for SUNY. In 2014, he co-authored, with Dr. Judith Albers of SUNY Geneseo, Entrepreneurship in New York, a study of the patterns of R&D and venture investments which highlights the challenges and potential of growing innovation businesses in New York. Prior to his time with SUNY, Mr. Moebus served on the executive staff of MIT for seventeen years (1981-97), leading its Corporate Relations activities for five years, and working with MIT leadership to transform the way that MIT worked with industry. He later became Vice Chancellor for University Advancement at the University of California, Irvine from 1997 to 2001. He also founded and operated an independent consulting company, Strategic Advancement, Inc. In 2002, he co-founded and served as the Executive Chairman of OCTANe (Orange County Technology Action Network) – an innovation ecosystem which is recognized as one of Southern California’s most productive organizations at stimulating innovation business, having helped hundreds of entrepreneurs and companies find talent, funding and success in its ten-year history. Mr. Moebus is a graduate of the Massachusetts Institute of Technology with two BS degrees in Materials Science and Management, and an MA in Education from Clark University.